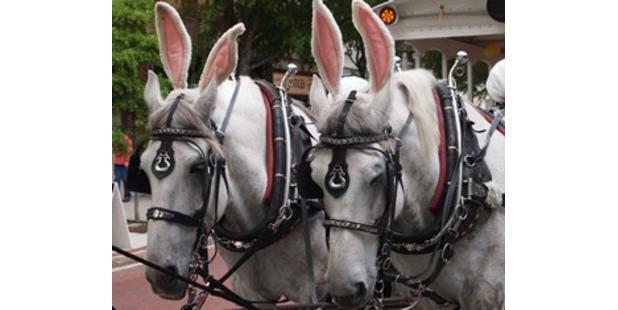 Experience horse drawn carriage travel enjoyed over a century ago when life moved at a slower pace. Your friendly, knowledgeable uniformed guide describes the history of Wilmington and the famous personalities who have lived and visited here as you leisurely ride past the stately mansions and homes of elegant Downtown Wilmington. Your unique adventure is drawn by beautiful rescued Percheron draft horses. Saving horses since 1987, Springbrook Farms has been committed for over 30 years to rescuing and caring for these magnificent animals. Private tours are available with carriage, trolley and evening coach year round. Additional Information: Prices and hours subject to change without notice. Private tours are available with carriage, trolley and evening coach year round.